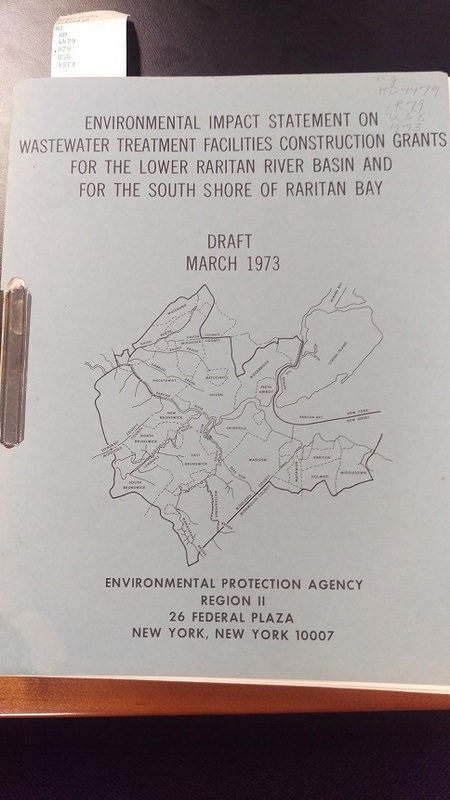 See below for an annotated list of sources for primary documents related to the Lower Raritan Watershed. Materials may include maps, postcards, letters, diaries, sermons, literary manuscripts, organizational records, financial and legal records, and more! (See notes and advice regarding use restrictions). Rutgers Special Collections and University Archives at Rutgers University Library are located at Alexander Library on College Avenue. It is divided into Sinclair New Jersey Collection, Manuscript Collection, Rare Book Collection, and University Archives. a) Special Collections and University Archives contain and provide primary sources of a rare, unique, or specialized nature. Very knowledgeable staff makes this the best starting point of any research. 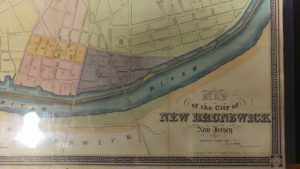 -New Jersey Historical Maps Portal is a single point of access to the multiple digital map collections residing within: Rutgers University Libraries’ Special Collections and University Archives, the New Jersey Environmental Digital Library and New Jersey Digital Highway. -Cartography is Rutgers Department of Geography webpage that allows for viewing, but not for the use of the maps on the website. -Part of this map collection is Rutgers University John Brush Collection. Named after a Professor Emeritus of Geography at Rutgers University, John Brush Cartography is a collection of the Rutgers Department of Geography. Many maps and aerial photographs are local, and created by professor Brush himself. -Institutional repository – RU Core Rutgers Community Repository represents the original research of the faculty in electronic form created and used by the University community and its strategic collaborators. RU Core’s collection includes theses and dissertations, in collaboration with the Rutgers University graduate schools as well as faculty and departmental publications: pre-prints, post prints, presentations, technical reports as well as primary source materials-manuscripts, photographs, maps, and multimedia, from the libraries’ special collections. 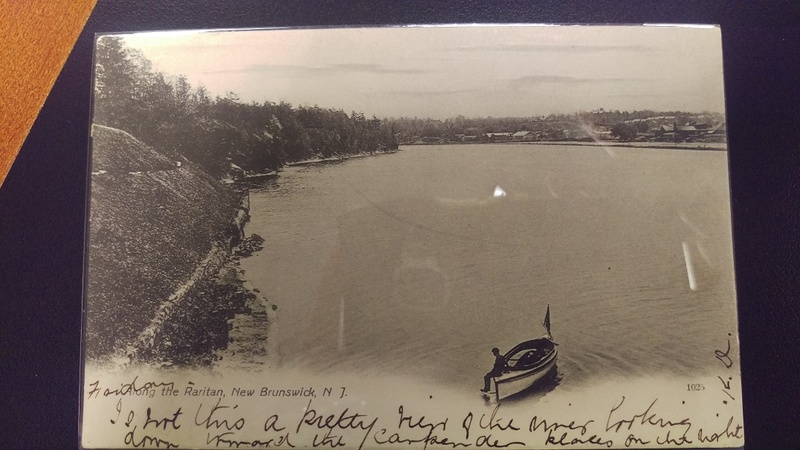 The featured image is a postcard of the Raritan River from the Rutgers Libraries Special Collections Postcard Collections. The Library of Princeton University contains much of the local cultural history information as well as the special collections that include Government Documents collection (US Federal Government from 1884 on, the State of New Jersey 1950 on) and Historic Maps collection (prior to 1919, many in digitized form). USGS “topoView” is a USGS online application that allows for the search of USGS maps covering the entire US, and the time span from 1880 till today. Maps made in the late 90s were not ground truthed anymore and there is some criticism of their accuracy post 90s. Maps are georeferenced and downloadable in formats that are friendly for any application. The Boston Library Leventhal Map Center encourages innovative uses of maps and geographic materials. There are no restrictions on the use of their maps, but there is a fee for purchasing of high resolution images. 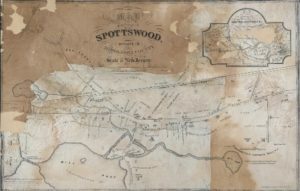 Collection contains some very good and detailed local revolutionary war maps. The Library of Congress website contains a lot of relevant data, and most interesting are the Sanborn Maps. Sanborn Maps were originally created for assessing the fire insurance liability in urbanized areas of the United States. The maps include detailed information about buildings in approximately 12,000 US towns and cities. 7. Raritan River Rail Road Historical Society, Inc. The RRRR Historical Society website includes Raritan River Rail Road data, cultural history, and technical information. Webpage contains some rare maps of the area between 1937 and 1980 and a lot of video, audio, and textual material. The USACE Digital library contains booklets, manuals and guides, history of the agency as well as the fish and wild life reports, maps, aerial photographs and water reports. NOAA’s map and chart collection contains nautical Charts of Raritan River starting from 1874 and up to 2013. The NJ State Climatologist’s holdings include a bibliography list of books and articles that deal specifically with the climate of New Jersey. The British Library’s collection of maps, plans and views is one of the largest in the world, numbering some 4.5 million. Access and usage are somewhat limiting. Hathi Trust is a partnership of academic & research institutions, offering a collection of millions of titles digitized from libraries around the world. Access and usage is allowed through the Rutgers Libraries System. 13. New Jersey Environmental Digital Library. 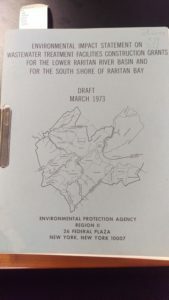 The New Jersey Environmental Digital Library is a partnership between New Jersey Department of Environmental Protection and the Rutgers University Libraries. 14. Middlesex County Libraries, Museums and Archives.